In 2015, the MOD’s Information Systems and Services (ISS) introduced Defence Share. Powered by INOVEM’s Kahootz product, it is now the MOD’s primary collaboration tool. The tool is allowing them to safely share information up to ‘OFFICIAL-SENSITIVE’ classification with the Defence industry, other government departments, and allied nations via the MOD’s private networks and the public internet. The platform is formally accredited for use across the MOD and has been added to the ISS service catalogue. This means MOD project teams and business units can quickly request, deploy and pay for secure collaboration workspaces as and when they need them. INOVEM were awarded the contract, following a formal competition through the government’s G-Cloud procurement framework. 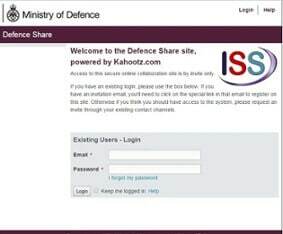 Peter Jackson, INOVEM’s Managing Director, commented: “The MOD’s selection of Kahootz was a massive endorsement of the government’s new approach to assessing cloud security. ISS selected the Enterprise version of the Kahootz cloud collaboration service, based on their Cloud First Policy. Defence Share was initially adopted by the MOD’s Defence Equipment and Support to meet their immediate business requirements. It has now been made available to the rest of the MOD. The MOD chose Kahootz because of its stringent security procedures.